As most of the country falls victim to plummeting temps and icy conditions, it’s not surprising to see a rise in slips and falls! There’s one environment that’s particularly susceptible to freezing conditions – marinas and docks in the winter months. While many boat owners will winterize their vessels and avoid the blustery, wet conditions, there are still several individuals that access their watercraft in the winter months. From facility managers and maintenance crews to die-hard boating enthusiasts, it’s inevitable that someone will be walking the planks. 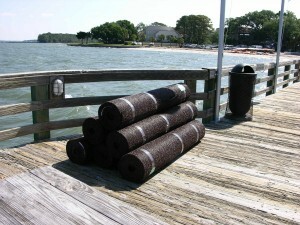 PEM Marine Matting is the perfect solution for slippery, wet conditions in the winter months. The matting’s porous construction allows water to pass through, lessening the chances of standing water creating frozen ice patches. Unlike other mats, our matting will not absorb and hold water – a vital benefit for the winter months! Plus, it’s lightweight and installs easily. No more lugging around heavy mats and fumbling with installation. PEM Marine Matting can be trimmed easily with a razor to custom fit your facility. For added protection, PEM offers a high-grit application with a top-coating of aluminum oxide “grit”. Already have PEM installed at your facility? 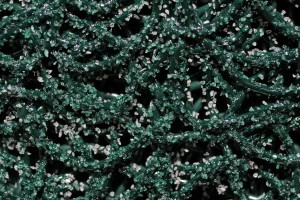 Contact PEM to learn how to apply our high-friction coating to your existing matting! The aluminum oxide grit material increases traction on the matting surface. Don’t get caught unprepared this winter. Slippery conditions and cold water are a dangerous combination. Learn more about the benefits of PEM Marine Matting for your facility!